Summer is in full swing here in Texas. Time for some sun dresses! 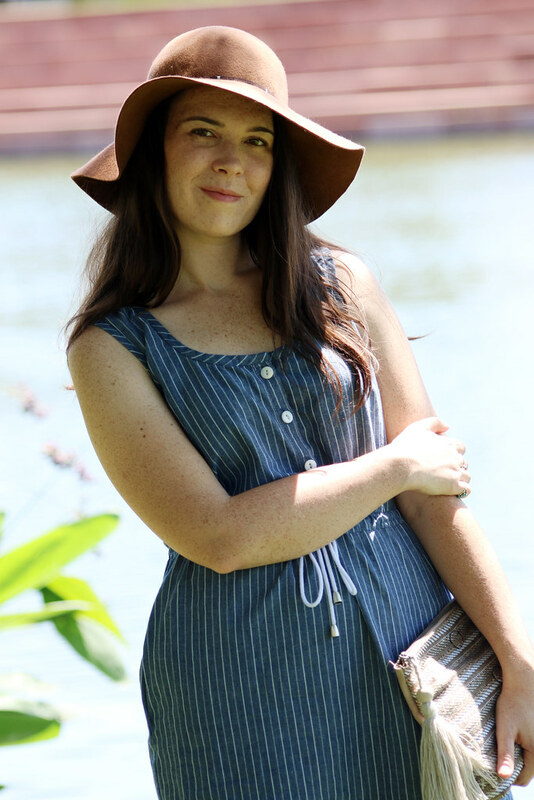 This is the Southport Dress by True Bias Patterns. I’m a little late on the Southport bandwagon but I’m so glad I hopped on. This is a great little dress! I made the short version without any major changes. 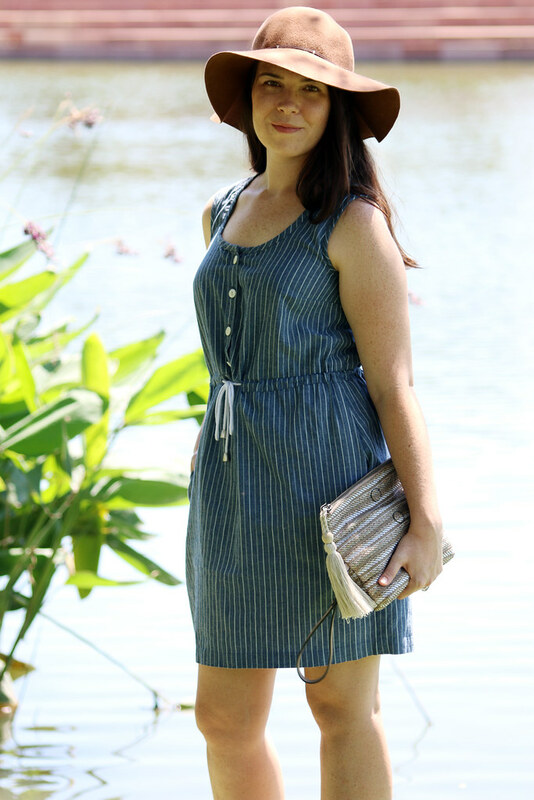 This cotton stripe chambray came from a swap and was leftover from my Oceanside shorts. 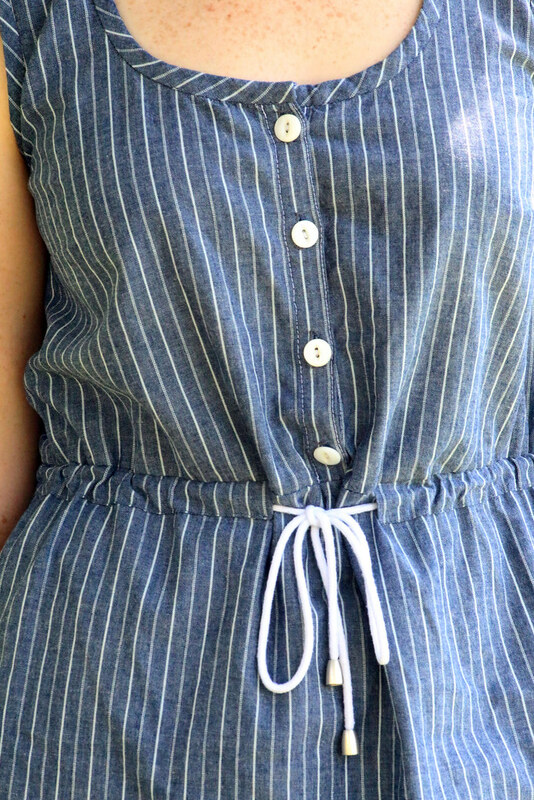 I liked the stripe so much that I chose to do bias binding on the arms and neckline rather than using the bias as a facing as the pattern calls for. The white buttons are vintage. I believe they’re some kind of carved stone. They’re too heavy to be shells, I think. The drawstring is just some cotton cording and I added two silver-colored metal stoppers from my stash to the ends. I blinded hemmed the dress by hand and finished the seams with a zig zag stitch. My favorite little features are the stitched tacks at the top and bottom of each pocket along the side seams. 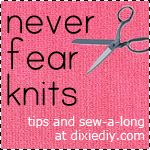 They help keep the pockets sitting forward rather than being pushed toward the back of the dress or getting bunched up along on your sides. It’s a nice touch that adds some value to the pattern design. 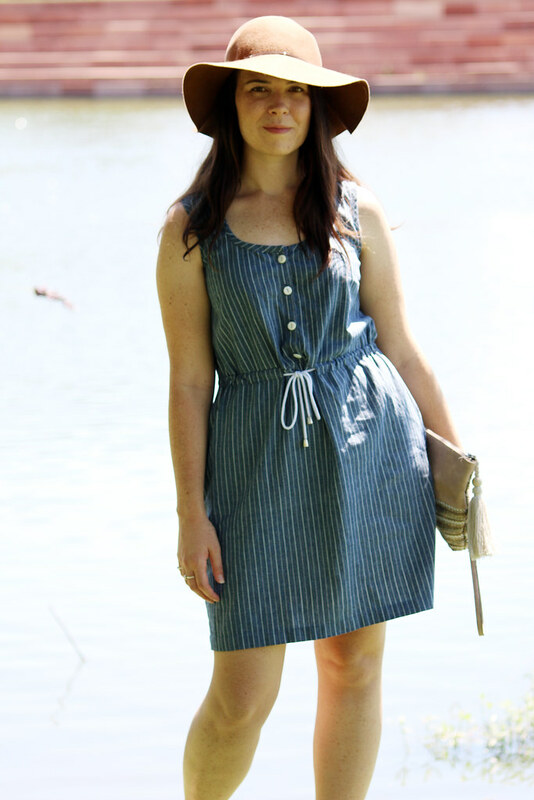 Fair warning, you’re probably gonna see this hat around a lot on the blog this summer. I am a convert to Church of Hat. It’s great for keeping the hot Texas sun off your face. Hats are highly underrated and I intend to get as much use out my hats as I can. Yay hats!